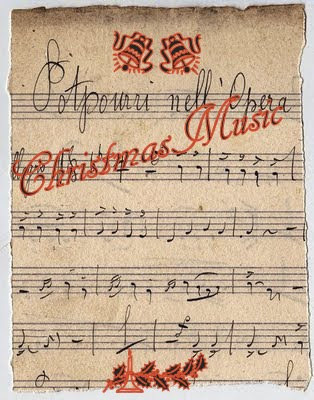 Christmas music was always a part of our Holidays when I was a child but I do not recall what particular artist or songs played. My mom was and is very much into classical and choir music so I am sure the music would have been of that genre and very German. I do remember getting my first record player for Christmas and I know the one record I wanted was "Frosty the Snowman" and I also remember getting "Jolly Old Saint Nicholas". For me as an adult, my favorite Christmas/Holiday music is the "Manheim Steamrollers" and their version of Silent Night is my favorite song. Manheim Steamrollers versions of traditional Christmas music is done beautifully and is wonderful to listen to - every Christmas I bring out each and every CD I have of theirs to listen to. I have just about all of them. Music is a big part of my life year around but Christmas music is special and I love listening to most all of it. While I clean or decorate for the holidays - at times I will put the cable music channel on, there is a channel dedicated to just holiday music with a variety of old and new and in-between. It's fun to listen to. I have to say that I very much love listening to Christmas Choirs and each year attend Church Christmas shows.